This book hooked me from the first chapter. It is a fresh take on a classic genre that left me caring deeply for the main character and waiting for his next adventure. From the very first chapter, Zachary Howe weaves a tale of danger, mystery, and action, bringing one of the most exciting mythological worlds to life on the page. If you love epic battles between good and evil, along with a dash of love and humor, you're sure to love The Heir of Olympus and the Forest Realm. 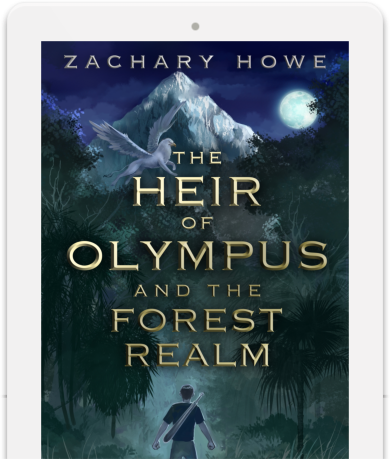 The Heir of Olympus and the Forest Realm is suspenseful and thrilling - I can't wait to read more of Gordie's quests. 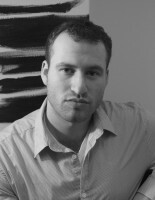 Zachary Howe's debut novel makes you excited for new stories to be told. Though it sounds like a scene pulled from fiction, the idea for The Heir of Olympus came to Zachary in a dream. He awoke at five a.m. that morning, with a name and a story—Gordie Leonhart was brought to life. The Heir of Olympus and the Forest Realm is the first installment of Gordie’s journey. Zachary Howe was raised in Madison, WI by his single mother, an amazing woman who made great sacrifices to raise him and his sister. When he was ten, Zachary’s mom enrolled him in the Big Brothers/Big Sisters program, where he met Charlie, who remains a Big Brother and mentor to this day. Zachary went on to earn his English degree from the University of Wisconsin and lives in Madison with his wife, Jody, and their boxer, Mick. Zachary is currently working on the second installment of The Heir of Olympus series, The Heir of Olympus and the War for Hades.